A smartphone is an indispensable possession nowadays. Our small world is surrounded by far-reaching smartphones of many different types: Android, Windows, Symbian, Blackberry, Apple iOS, and the list goes on. There is, however, something special about Apple’s iOS devices that makes them stand out of the rest. In the year 2007, Apple did not just launch the iPhone, but also a phenomenon that would set its own benchmark of excellence with the gradual launch of newer versions every year. Professional iPhone application development is now one of the most lucrative undertaking in the enterprise mobility realm. According to statistics, mobile application development has increased exponentially since the past few years. This is mainly due to the introduction of new ideas coupled with mobile technology advancements to create apps that engulfs every area of human curiosity. Business enterprises all over the world have not been untouched by this ‘appification’ and ‘app-fixation’ that helps drive productivity to enhance the overall business. In today’s competitive market, businesses are striving hard to increase their revenue and drive success. Getting an app for your business is one of the most desirable undertakings that demands proactive measures. An iPhone with its sophisticated and classy features has become an ultimate status symbol for people. Associated mainly with affluence, professionals from various fields and business personnel are stumbled across the most when it comes to flaunting an Apple device. When such is the scenario, one ought to have a business app that is compatible with iOS environment. A business app that is not accessible on the iOS platform and devices can lead to unthinkable revenue loss as the upper-crust of society becomes unreachable. Now let us take a look at certain points that will help to understand the importance of iOS App Development for overall business enhancement. When it comes to customer loyalty, iPhone prides itself with their dedicated user group. This increases the usage of iOS apps thereby increasing the revenue from the apps. If you ask an iPhone user, she would be in short of words to praise the overall experience she gets from her iOS device. Due to such a smooth and immaculate user experience, mobile developers prefer iOS platform first and foremost to develop apps of best quality. Quality, not quantity, determines success. This is cent percent true about iOS devices. iPhone targets the high-income group and the upscale marketplace. And it is the quality of the service, high-tech functionalities and appreciable user experience, that makes these devices high-priced. People who can pay more money would obviously want better products and services. The iOS apps are highly secured making it almost impossible to gain unauthorized access to user’s data. Apple, over the years has gained user’s confidence by following strict security measures while allowing apps to its store. This means if an app has managed to reach the iOS store, it is foolproof and secured. How the West Can be Won! The developed countries, particularly in the west, have more users on the iOS platform. Developing apps for this platform can therefore, naturally widen the customer base. 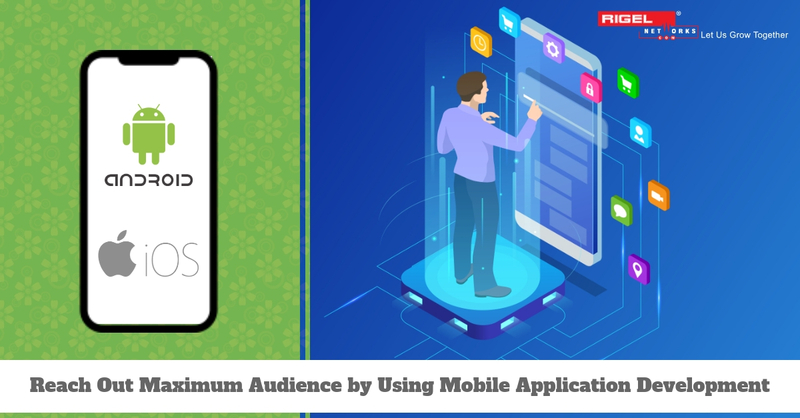 If one can develop good quality apps even for a small section of users eager to purchase high-quality apps, the conversion rates will increase significantly influencing the annual turnover. Apple products have managed to provide a sense of great satisfaction and trust to its users. Developing an app for Apple is an achievement in its own right. Because if Apple allows the app to its store, naturally it must be a great app. This brand trust of Apple can leverage a positive impact on your own brand image thus increasing the revenue. So, with countless applications on different platforms, there’s still no platform that can beat the iOS. iOS devices, due to their high quality and enhanced features, are generally preferred by professionals and upscale classes. An app developed for the Apple Store incites a feeling of trust as well as achievement. 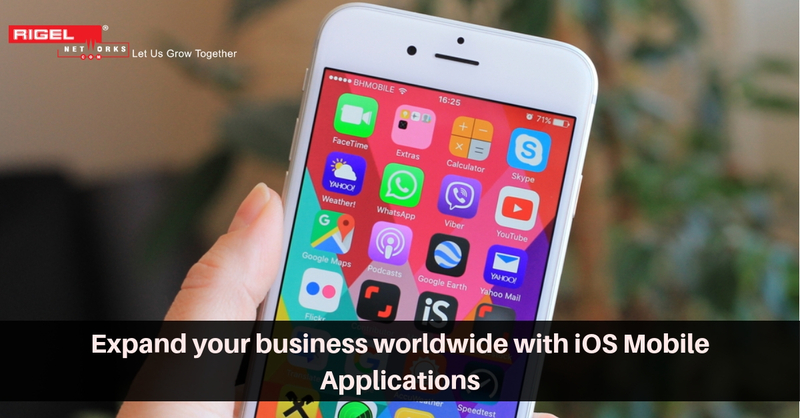 If you are planning to get an app for your business, we strongly recommend iOS Application Development Services since it can add an extensive value to your business.